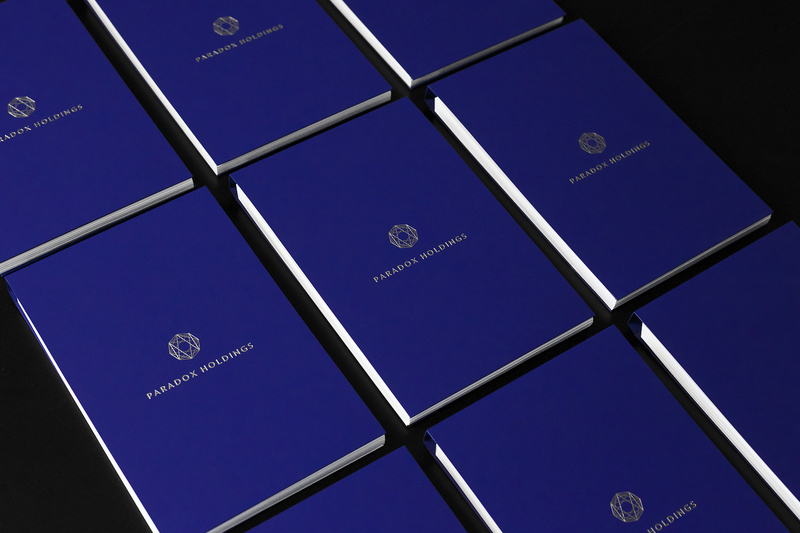 We worked on the branding of Paradox Holdings, an independent, reliable financial services company, which are known to add value to their clients investments.  The octagonal symbol in the logo reveals their knowledge how to deal with complex M&A proccesses by assembling simple geometrical shapes into a larger entity. Despite the number of elements involved, the final symbol stays as well balanced and wholesome as a simple shape, while unobtrusively resembling the classic diamond cut. 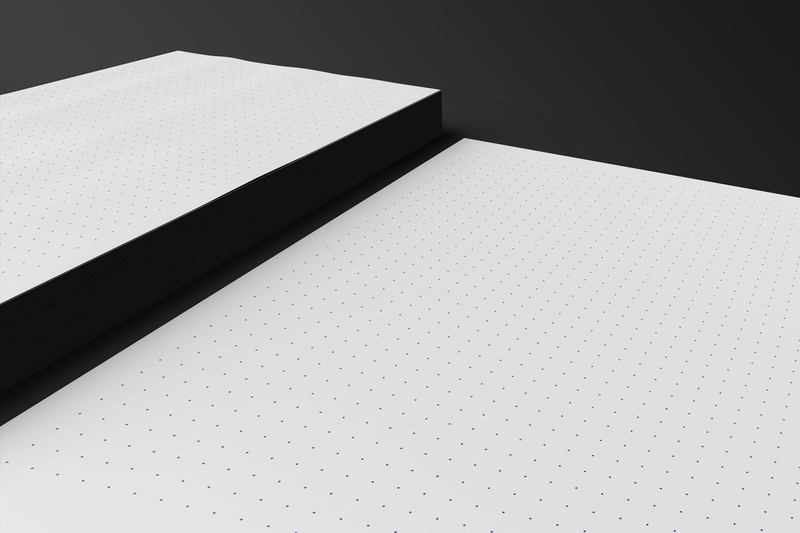 The overall image we wanted to created both by brand and the materials is one of attention to detail and thoroughness. 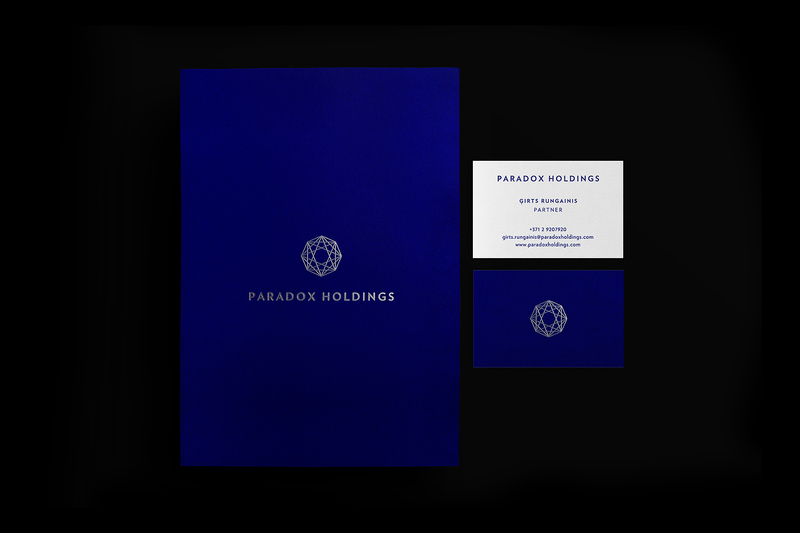 As a part of the identity we also created the design of business cards, as well as various stationery items: pencils, sheets of paper and notebooks. 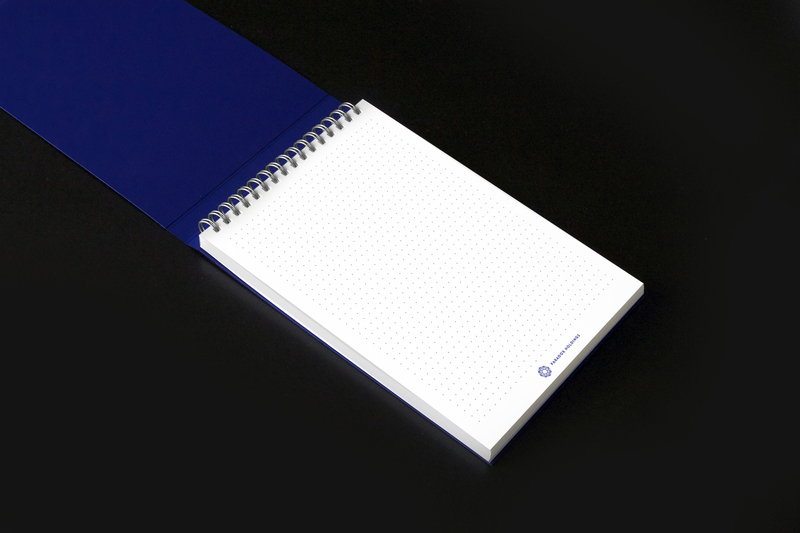 For the notebooks we used Curious Matter paper in Adiron Blue color 270g paper for the outside and Scandia 2000 white 80g/m2 for the inside pages, and for the duplex business cards the same curious matter paper and Scandia 2000 Natural, 240g/m2.